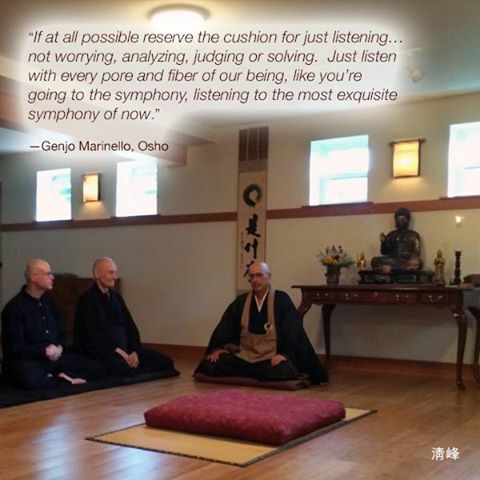 Last Sunday, after evening Zazen, Genjo Marinello, Osho gave a Dharma talk. As I was sitting and listening, reflective of the recent death of my brother and some other recent events, somedays thinking and feeling really disoriented and other days clearer, I was carefully listening to my teachers words, seeking a hand hold. As ever, I wasn’t disappointed. By the end of his talk, I felt lifted… grateful… traveling lighter… fortunate that I have the opportunity to train with him, in residence at Choboji.